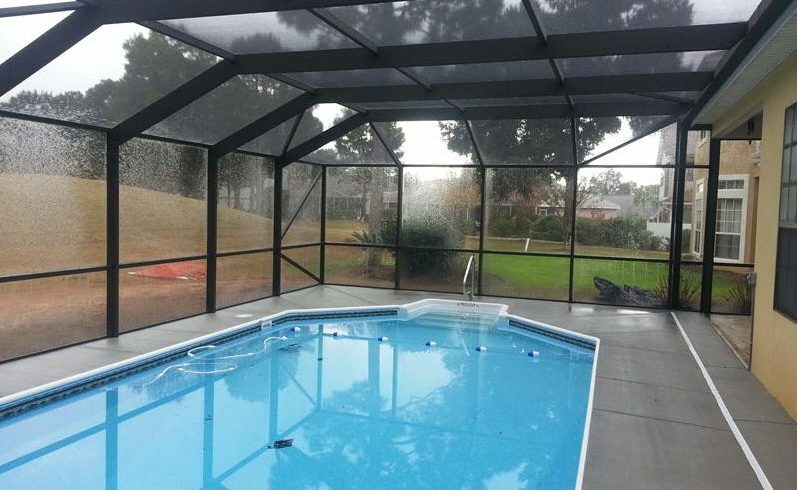 It’s a “breeze” to protect your swimming pool, all year long, with a screen pool enclosure. For two decades, Breeze Enclosures have specialized, in the design and construction of aluminum and screen pool enclosures. 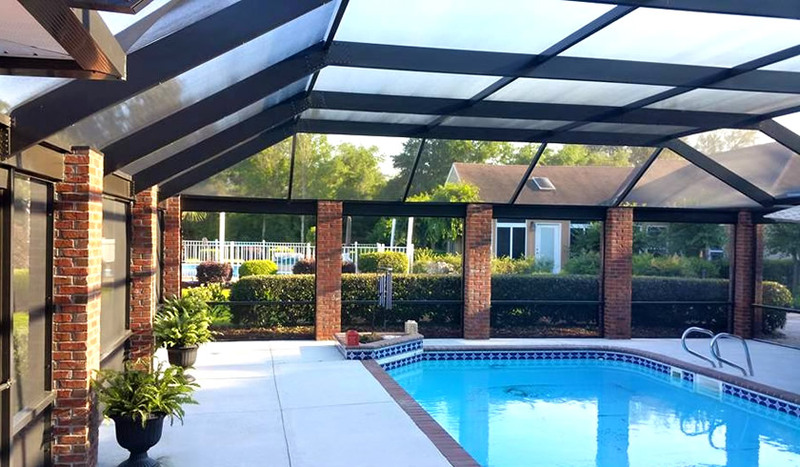 Our swimming pool enclosures are built using the highest quality materials, and our installation crews are as knowledgeable, as respectful, and as professional as they come. 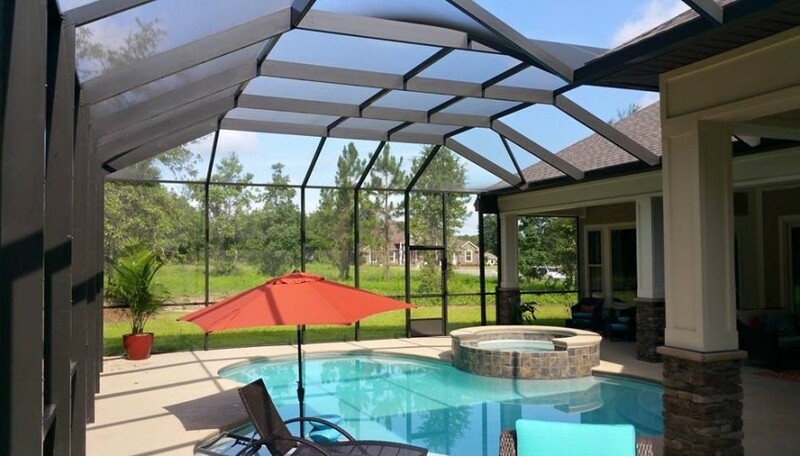 When you hire Breeze Enclosures to protect your swimming pool, you can trust that you’re dealing with the best, in the screen and pool enclosure industry. In addition to protecting your investment, a pool screen enclosure will provide protection from the sun, your swimming pool will be cooler during the summer, and it will be warmer during the winter. 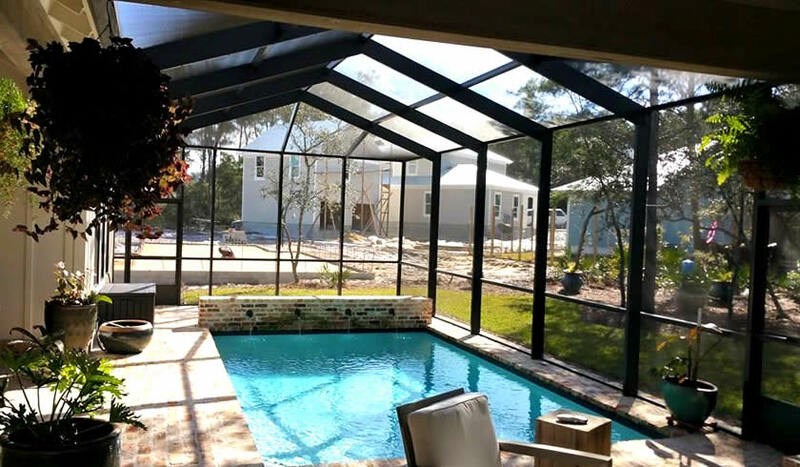 By protecting your swimming pool from animals, insects, debris, and leaves, your screened pool enclosure will dramatically reduce your pool maintenance effort, and expense. 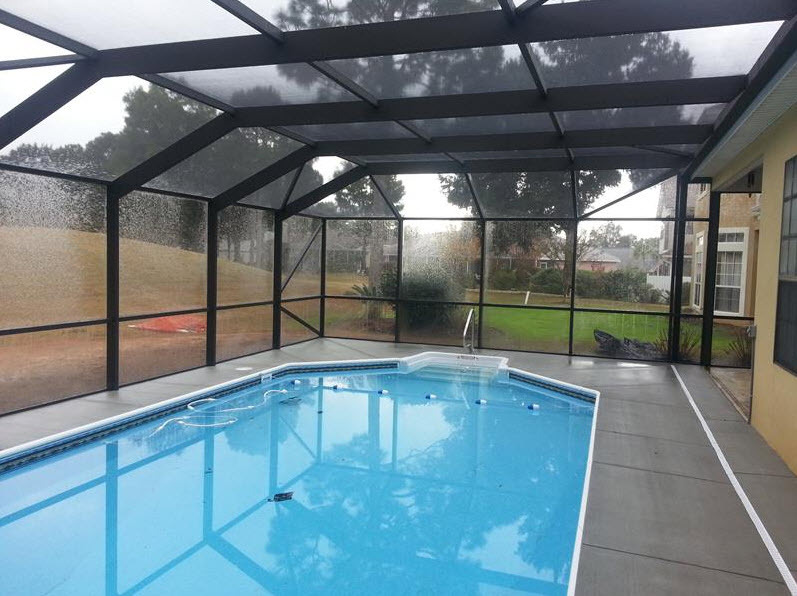 Pool enclosures are custom designed to accommodate any shape and size. Providing a FREE, no obligation quote is FAST and EASY! Request A FREE, No Obligation Quote, or for more information, please call (850) 572-0255. A Mansard style roof is a roof that has four sloping sides, and two pitches. The pitch becomes steeper halfway down. A Gable roof is a roof that has two sloping sides, a steep pitch, screens meet at a point in the top center. 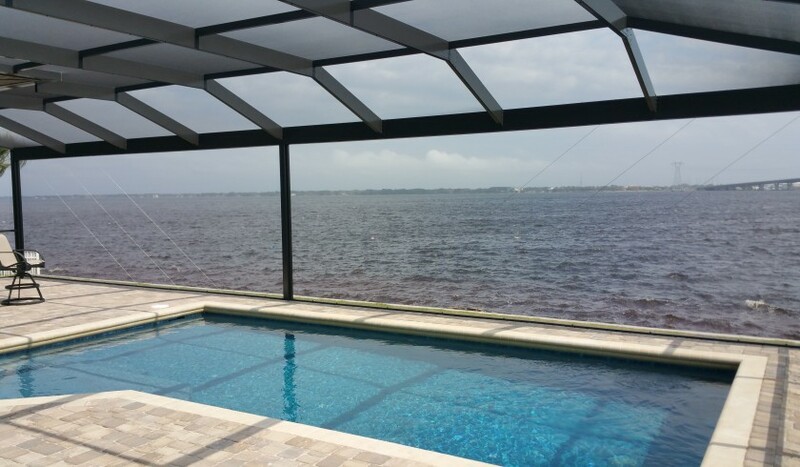 If you have a view that you don’t want to lose with a conventional construction pool enclosure, Breeze Enclosures has the answer! Our Full View enclosures use a post and beam construction to help to keep those views.